Oh, Derek! 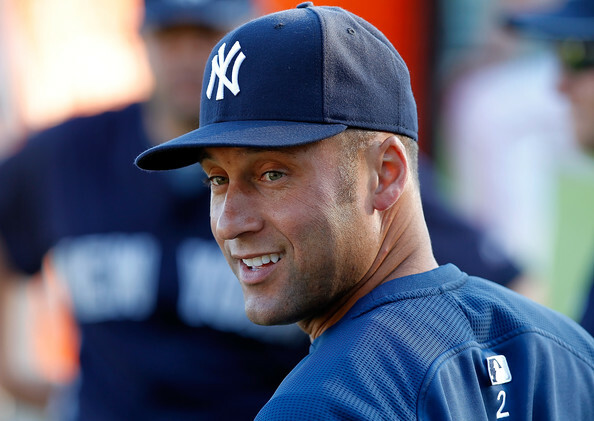 The New York Post is reporting this morning that Derek Jeter sends his one-night stands home with gift baskets, which usually include an autographed baseball. This doesn’t sound like “The Captain”…does it? I wonder what Dr. Charles Jeter thinks about all of this. “He normally doesn’t go out with girls. He will have them come to his house. He’ll have cocktail parties. His friends invite girls they think he’ll be interested in. He’s very shy,” another friend explained. “He’ll occasionally take girls to a restaurant. He has a couple of restaurants that he goes to that aren’t trendy,” the friend said. “I know he’s been dating multiple girls. He likes a hole in the wall, or he likes a place that his friends own. He’s very cautious. He’ll only go out on off-nights,” the friend said. “The girls go through the back-door entrance in the Trump World Tower to avoid the paparazzi,” the pal said.